Bilbao, the fourth largest city in Spain, lies in in the Basque country, close to Spain’s north Atlantic coast, about 60 miles west of the border with France. You can reach Bilbao from the UK either by ferry from Portsmouth or by air with Easyjet from Stansted. Bilbao has undergone massive regeneration from an industrialised port to a hip city over the last couple of decades. The main port was even moved ten miles to the north. If you arrive by air you’ll have your first taste of the new Bilbao when you land at the new terminal designed to be a like a flying dove. Getting around Bilbao by public transport is easy, with a new subway and riverside tramway, plus an extensive bus service. Fares are cheap, with a flat fare of 1.2 Euro on the bus and 1.4 Euro on the metro. One of the best ways to see the city is on a boat trip. The city is famous for the Guggenheim Museum, a showcase for modern and contemporary art, which opened in 1997. It costs 13 Euro for adult admission but if you plan to visit the Museum of Fine Arts too, then ask for an Artean ticket, which covers admission to both museums for only an additional 50 cents. 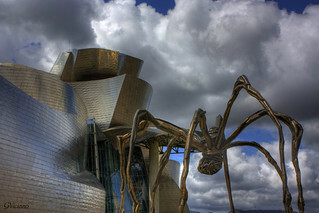 Poppy, a giant floral sculpture and Maman, a giant spider, sit outside the Guggenheim. The Maritime Museum has an indoor and outdoor dock area. 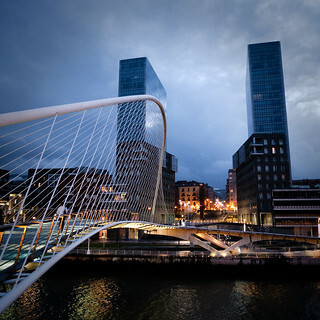 Other Bilbao attractions include the curved Zubuzuri footbridge across the River Nervion. However beware when crossing the bridge’s glass tiled walkway, as it can be can very slipperly in wet weather. For some of the best views of the city ride up the Artxanda Funicular railway, operating since 1915. If you head up towards the port you’ll come to Vizcaya Bridge, the world’s first transporter bridge, where pedestrians can take the lift up and then walk across the top of the bridge, watching the vehicles being carried across the estuary in suspended platforms below. If you’ll be visiting a lot of Bilbao attractions you should look into the Bilbao Card which offers many discounts. If you want to buy fresh produce, head to the Mercado de la Ribera. Built in the 1920s, it’s Europe’s largest indoor market. There are three floors selling meat, fish, vegetables and fruit. It’s very bright inside due to light from windows above and from filters in the floor. 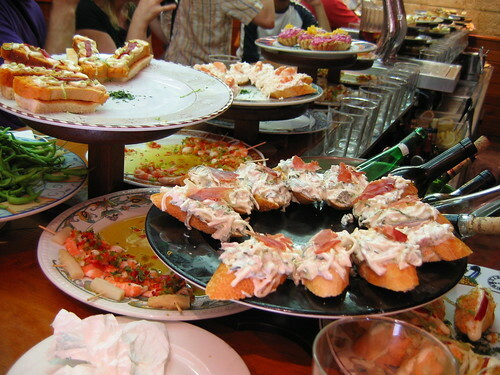 They don’t eat tapas in Bilbao but pintxos, bite sized snacks. It’s the tradition to eat a few of these as an appetizer before going to a restaurant for a late dinner. 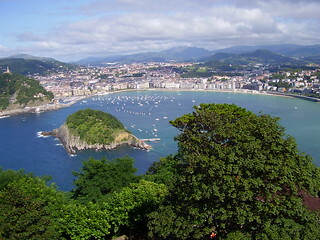 If you have time to venture further afield, San Sebastian which has been called the most beautiful city in Spain, is to east of Bilbao. If you head west you can visit the city of Santander and the Costa Verde.. If you’ve visited Bilbao, what did you most enjoy doing there? Image Credits: dalbera, gviciano, kurtxio, msk13, rinzewind, innovacionweb.